Microsoft Ignite 2018 returned to Orlando this year for another news-packed week. The company’s largest event for IT pros and enterprise developers saw its doors open to more than 26,000 people from 100 different countries. As the curtains close on a week of executive keynotes, customer voices, announcements and hundreds of sessions, we’ve summarised the highlights from Ignite 2018 below, including the full Keynote which can be viewed below. Microsoft shared more information demonstrating how security remains a priority for customers by declaring an end to the era of passwords. AI is a force which Microsoft strongly believes can and should be used for good, for the benefit of each and every individual and organisation on the planet. At Ignite, Microsoft announced a collection of new AI and data products and initiatives, including the launch of a $40 million, five-year program called AI for Humanitarian action, AI capabilities for the automation of AI development, and a look at how Shell is using AI to transform its global energy business. In addition, Microsoft also released a platform which is capable of building company-specific skills for Cortana. New IoT and Edge Computing products were also announced, covering everything from smart spaces to employees more efficient and productive. 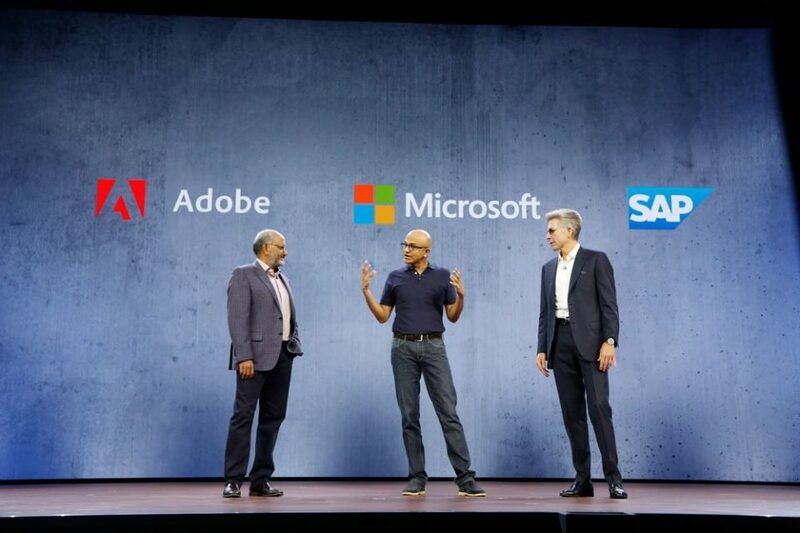 Microsoft also launched the Open Data Initiative with Adobe and SAP to help companies connect, understand, and use their data to create amazing AI-powered customer experiences. For more information, please visit the official Microsoft Ignite homepage.